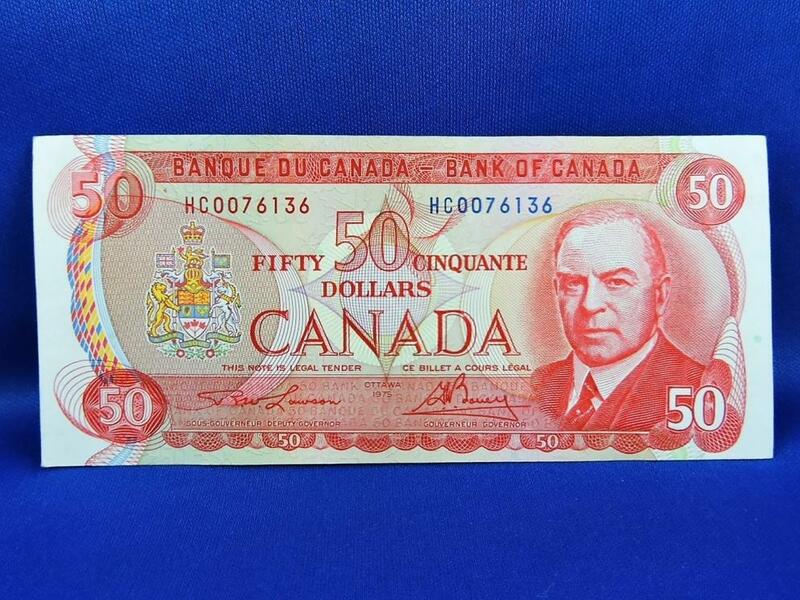 This note was purchased and stored away since 1975. It has not been in regular circulation. 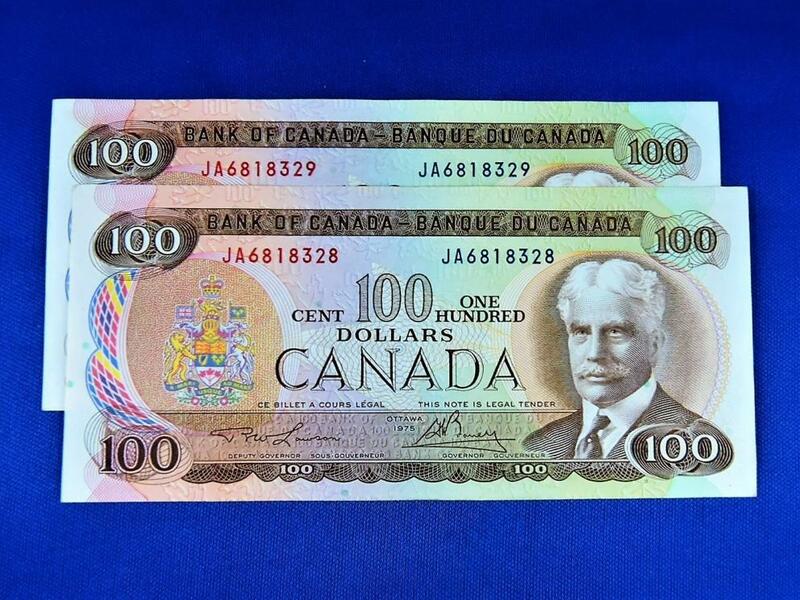 Exceptional addition to any currency collection! 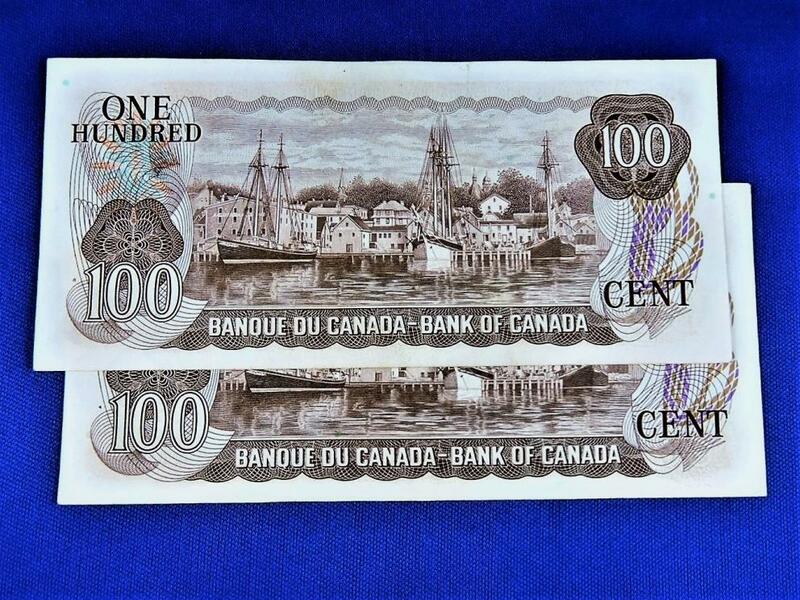 These Two 1975 Banknotes are Uncirculated "Pristine" Condition. Signatures of Lawson and Bouey . Corners are clean, no marks or writing. Extremely collectible!! 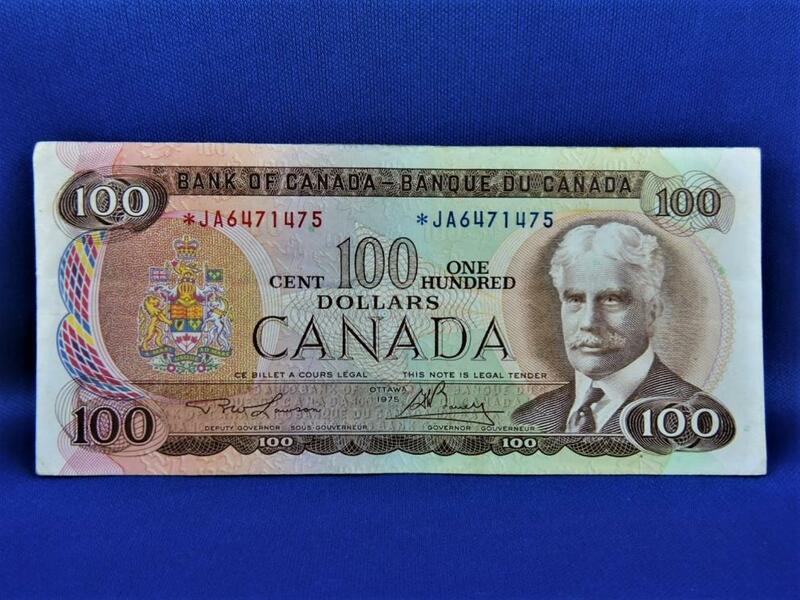 Quality Replacement 1975 $100 Banknote, Uncirculated, however, handled witin the collection. Firm, corners are good+. 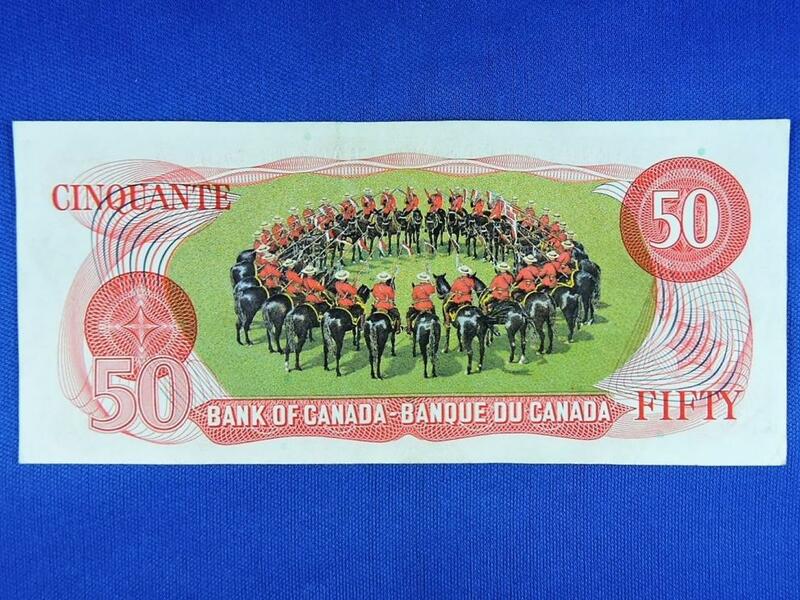 Quality Banknote! Handled within the collection, however, uncirculated. Excellent Addition to a Collection!! ​A buyer premium of 10% will be added to the winning bid, plus any additional costs that inculde shipping, handling, insuring and any costs related to payment.